I was able to add two more cards from this set to the Herschel Hoard. 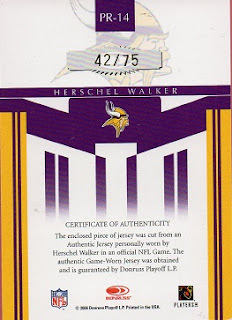 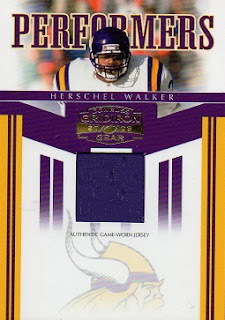 First is a 2006 Donruss Gridiron Gear Performers Jersey Card #14: That card is serial numbered to 75, with this example being # 42. 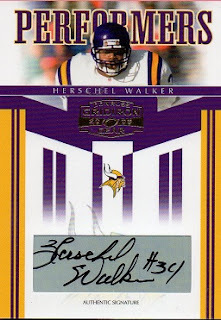 The second is a 2006 Donruss Gridiron Gear Performers Autographs Card # PR=14. 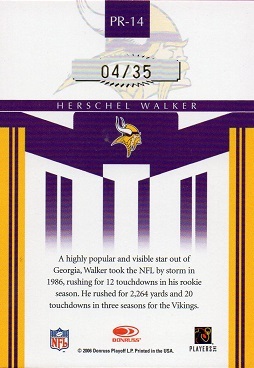 This is #4 out of 35 serial numbered cards. That gives me 8 of the 11 variations in the set.